AppNexus's cloud-based software platform powers and optimizes the programmatic sale and purchase of digital advertising. Join us for this live webcast to hear about the operational techniques AppNexus used to scale up a core component of its infrastructure—the server-side cookie store—even as a substantial portion of the world's internet advertising flowed through the ad tech platform. Their cookie store's capacity has now reached tens of billions of objects and millions of read/write operations per second and the system runs in half a dozen geographically distributed data centers. 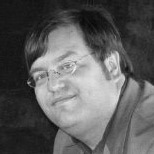 Brian has a background of 25 years in the Silicon Valley as a team leader, architect, and senior manager entirely in the area of large-scale server infrastructures (commodity routers at Novell, video servers at Starlight Networks, large-scale broadband at Liberate, and distributed computation at Aggregate Knowledge).